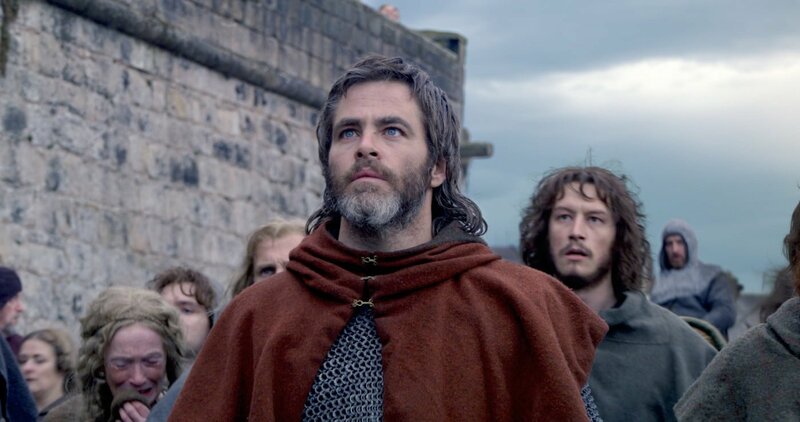 Director David Mackenzie’s Outlaw King re-crafts the story of Robert the Bruce – the Scottish king who, after the death of his more famous contemporary, William Wallace, led a successful and long-lasting uprising against the English. Starring Chris Pine as the titular Outlaw King, and Aaron Taylor-Johnson and Florence Pugh as his right-hand-man and wife (respectively), the film certainly provides all the medieval violence one could hope for. Yet, it leaves curiously little impression. A project that was six years in the making, Mackenzie described the film as a “labour of love”. I do not doubt that; the film is impressively (and expensively) crafted, and clearly a lot of time and effort was spent on the battle scenes. However, it’s hard not to question his claim that they tried to be as “authentic to medieval life as possible”, considering that they cast Chris Pine – an actor that for all his talents looks more likely to be ordering a decaf macchiato in a Palm Springs Starbucks than leading a Scottish uprising in 1304. (There were similar issues with him playing a WW1 soldier in Wonder Woman.) It seems as preposterous as casting Daniel Radcliffe to play Al Capone. Of course, that’s slightly unfair to Mr Pine. 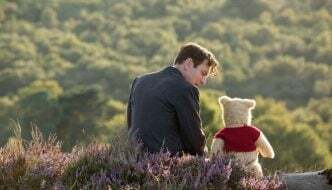 He handles a Scottish accent better than his British co-star Aaron Taylor-Johnson and acquits himself reasonably well in the more dramatic scenes. Yet, while Mackenzie’s claim that he gave his actors a “jazz environment” in which to shape their roles is laudable, it has yielded little in the way of interesting, complex characters. Sometimes, one suspects, strict control works better than improvisation. It is worth mentioning, also, that the film is being distributed on Netflix, continuing their recent run of dark, expensive films (see also Apostle and Hold the Dark) that likely wouldn’t have been able to find a wide release. It’s great that Netflix is so willing to donate such a generous budget on projects such as this. For all the lamentation about the death of the big screen, it seems likely that a lot of filmmakers are thanking their lucky stars for the Netflix big bucks. Mackenzie is clearly a talented filmmaker. His previous – the spare and brooding neo-western Hell or High Water – was excellent. And it’s undeniably a brave and ambitious leap to go from that to a swords-and-sandals epic with a cast of thousands, but it’s a transition Mackenzie handles adeptly. The battles have a real visceral crunch; the design seems lived-in and authentic; there’s a real sense of scale in both the battles and the scenery; and, as previously highlighted, there’s also a huge amount of very graphic violence, if that’s your kind of thing. Yet, narratively and emotionally, the film is cadaverous. Robert is buffeted about from place to place, from battle to battle; more by narrative design than any real sense of motivation. Braveheart, bloated and schmaltzy as it is, gave a real sense of what William Wallace was fighting for. Here we’re left with an unconvincing love story and an obligatory sense of duty as our motivators for the action. Mackenzie and Pine both spoke about the difficulty of carving a story and characters out of a vague and contradictory historical record. Pine stated that Robert was “Machiavellian by some turns, tender by others.” Yet, it seems they decided to tackle this problem by giving Robert no character at all. Braveheart gets a lot of stick for its historical inaccuracy. But watching Outlaw King is a reminder of why such historical embellishments are necessary – it’s better to bend the history to your story rather than the other way around. The result is a film that lacks a clear identity or interesting take on the material in question. This might all sound harsh. The film, in truth, isn’t bad at all. But don’t be surprised if after watching it you’re left with an overwhelming sense of, so what?Considering that the majority of viewers will be watching it at home (and so can switch over at any time and start watching House of Cards again, or whatever), that might be the most damning thing of all. 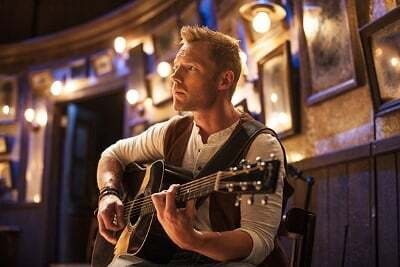 Will Celebrity Casting Work For ‘Once’?